If you come to visit Sichuan, and do not try their local snacks, it’s like you never came at all! 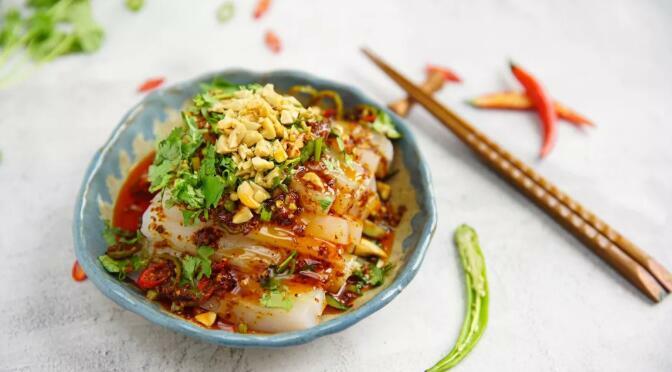 Today I’m going to introduce you to two different ways of enjoying Liangfen Chinese Jelly Noodles (mung bean jelly) that you are sure to love. Almost all kinds- high, medium and low-end restaurants in the streets have this dish. Of course, the price and taste are different. 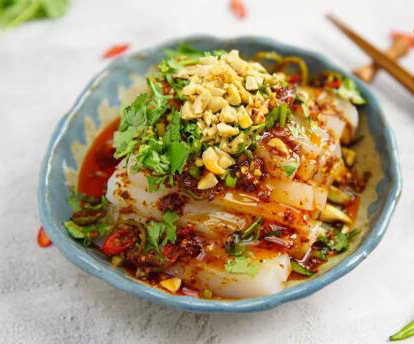 As one of the Sichuan cold noodles, it is said that because the Sichuan flavor Jelly Noodles (Beichuan Liangfen)is so hot, it will make you tear up. In fact, the ingredients used in making Jelly Noodles are super simple, and of mung bean starch can be substituted if you can’t find it. Pea starch and potato starch are also okay. I have tried it with each of these and compared it. I feel that it is best to make it with mung bean starch. This time, I shared two ways to eat it. One is the more common Jelly Noodles, which has more seasonings. I also added the Chinese hot oil I made before. It tastes delicious. The other is the nostalgic sweet and sour Jelly Noodles, which is rare on the market today, but it is also amazing. My hot and sour Jelly Noodles, I dare not say, is the best, but I believe that you will be impressed after eating! Why? 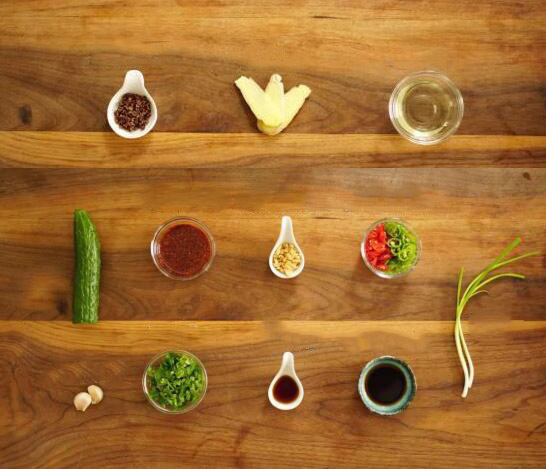 Because I use the best and most authentic ingredients. Step 1. Add 100 ml of water to the mung bean starch and mix well. Step 2. 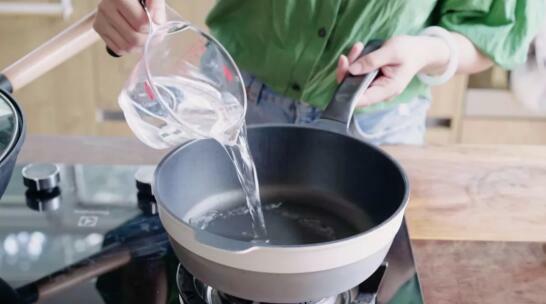 In a pot, add the remaining water (400-500ml), boil, then turn to low heat. Step 3. 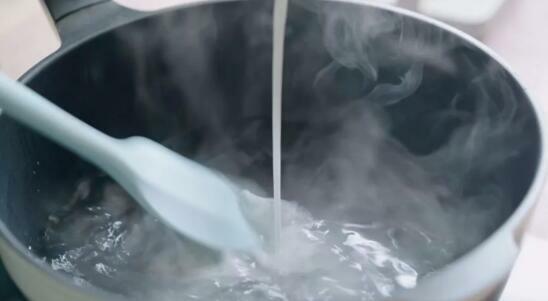 The starch water is slowly added to the hot water, and the mixture is quickly stirred until the starch begins to turn gelatinous. Step 4. 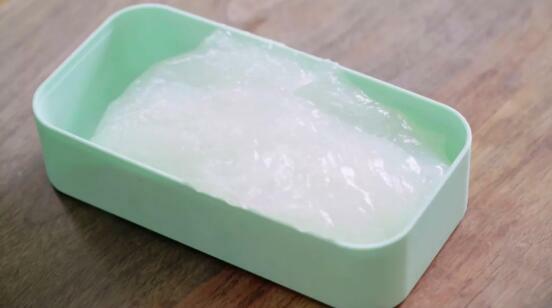 Prepare a small box-shape container by applying a proper amount of oil so nothing will stick, pour the starch paste, put it into the refrigerator and cool until it is completely solidified. It takes about 3 hours. Step 5. 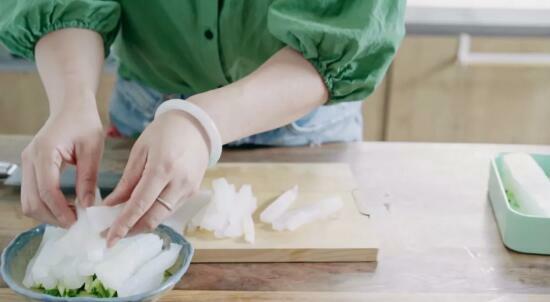 Take out the refrigerated Jelly Noodles and cut into strips. 3. Try not to let set for too long, or the noodles will not taste good anymore. Step 1. 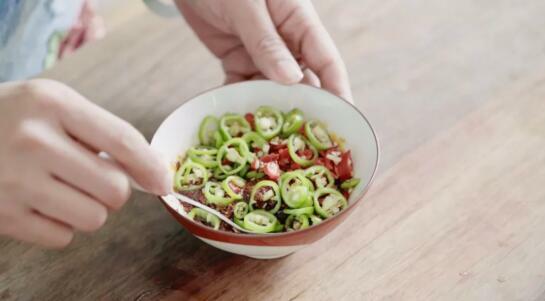 Mince the garlic, add light soy sauce, vinegar, Chili Oil, and cut peppers. Step 2. Add the ginger, Sichuan peppercorn and vegetable oil to the small pot and heat it over low heat. Step 3. 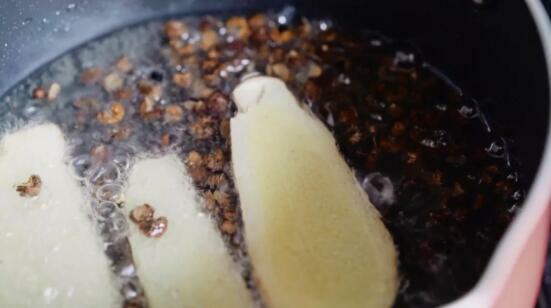 Remove the ginger slices and pour the hot oil into the mixed seasoning through a strainer. You can taste it and add some salt if needed. Step 1. Cucumbers are shredded, place cucumber and Jelly Noodles in a dish. Step 2. Drizzle with the seasoning and sprinkle with chopped green onion, parsley, and peanuts. Remember to use cooked peanuts, or add side dishes according to your preference! Step 3. 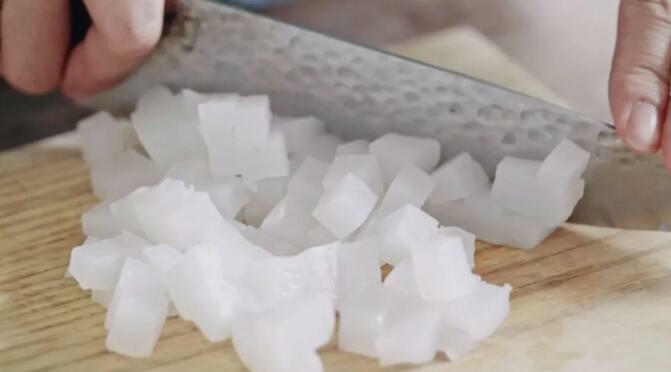 Pour in cold water, mix well and eat. 1. 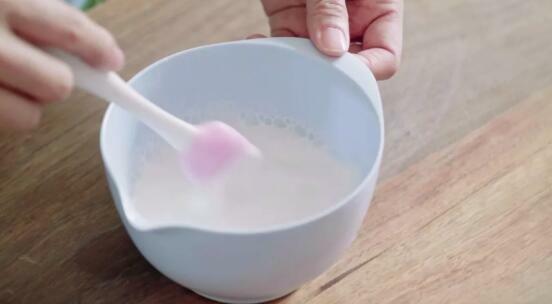 You can change brown sugar to white sugar. 2. 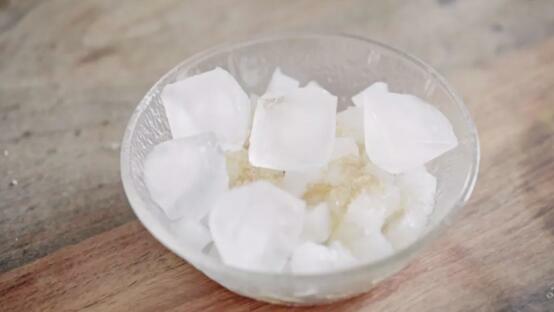 Adjust the amount of sugar and vinegar according to your taste.